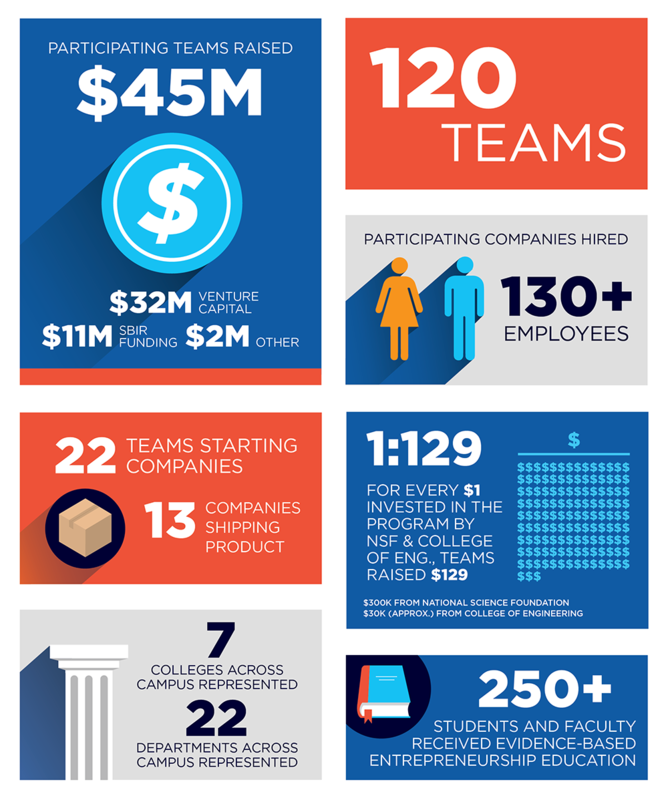 NSF I-Corps teaches university entrepreneurs to identify opportunities from academic research and offers entrepreneurship training. National Science Foundation's (NSF) Innovation Corps or I-Corps is a public-private partnership program that teaches university faculty and student entrepreneurs with a targeted curriculum to identify valuable product opportunities that can emerge from academic research, and provides entrepreneurship training to participants.The Illinois I-Corps Site is a collaboration between the Technology Entrepreneur Center in the College of Engineering, EnterpriseWorks at the Research Park, with participation from the Office of Technology Management, and IllinoisVentures. Faculty and students working on STEM-related technology can participate in the I-Corps program and receive up to $2,000 to participate in the customer discovery process of their innovation. 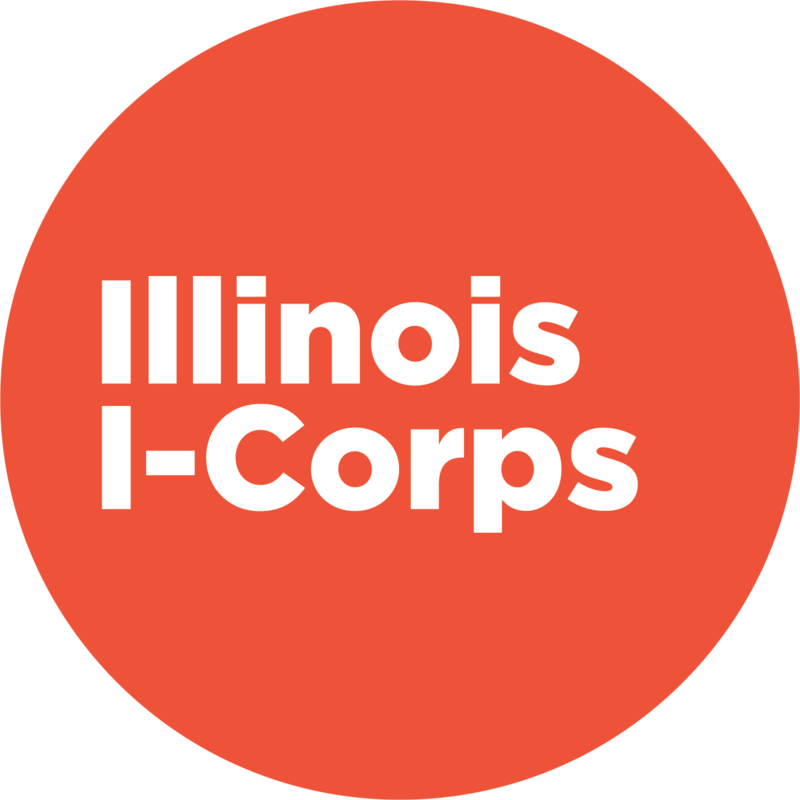 The Illinois I-Corps Site offers 4 cohorts a year (2 per semester) on a rolling submission application cycle. Each team is supported with an I-Corps grant of up to $2,000 to cover travel and prototyping costs. The program consists of 3 workshops over 6 weeks, where teams work to validate the market size, value propositions, and customer segments of their innovations. Upon completion of the program, teams are in position to apply to the National I-Corps program where they receive $50,000 dollars and participate in a rigorous 7 week program, or perphaps apply for an SBIR award. Students are also encouraged to participate in one of the many Technology Entrepreneurship courses on campus that offer the I-Corps methodology, including TE 250: From Idea to Enterprise which was developed based on the I-Corps program.